PREDICTION: To be fair to Johnson, the video shows he looks a lot better than the above picture would suggest. If you just had the above pic to go by, you’d think Johnson just rolled off the couch at a family cookout. 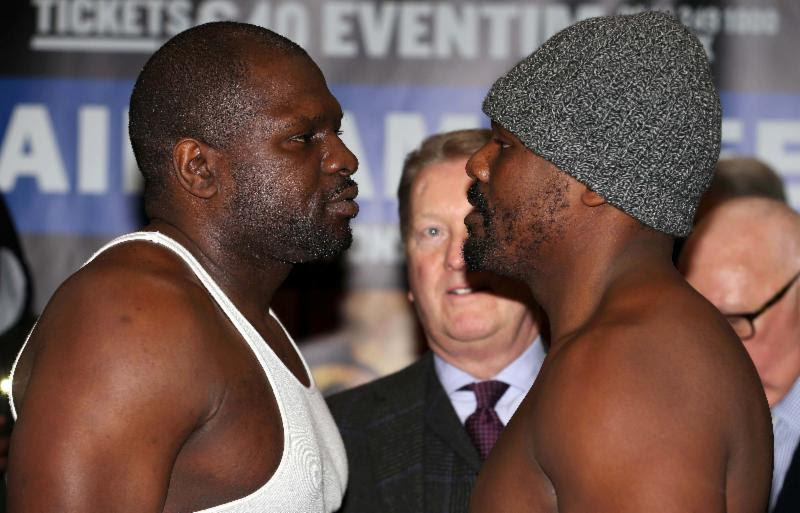 On paper, Chisora should win handily. He’s more active in throwing punches, and applies good pressure. However, we’ve seen Chisora get unfocused and sloppy in the ring before, most noticeably his last fight against the overmatched Ondrej Pala, who caught him with a handful of unnecessary power shots. 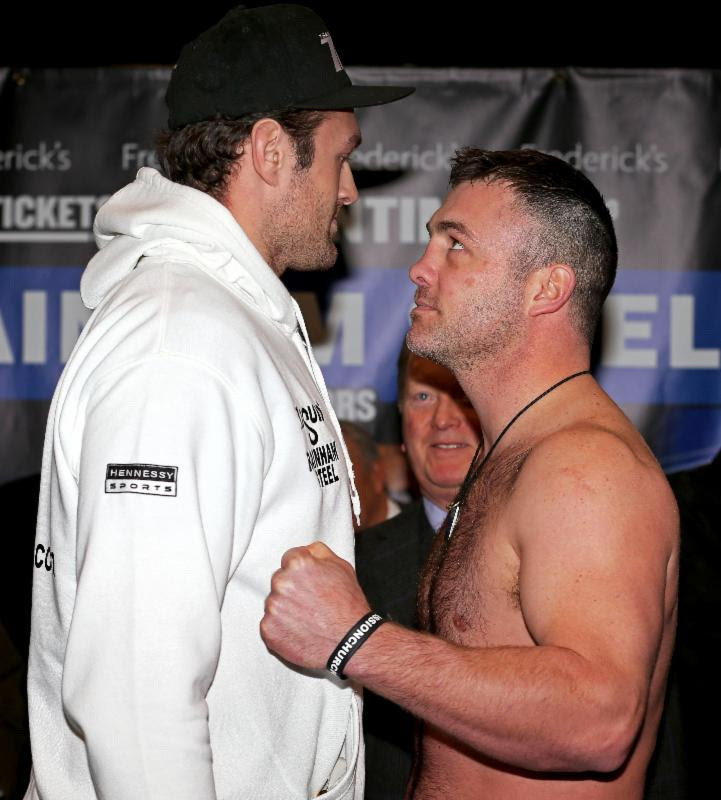 Johnson will have a few moments if Chisora is disinterested, but the fact Johnson couldn’t get past Christian Hammer in his last bout shows the 34-year-old’s level is at this point of his career. CHISORA UD JOHNSON. PREDICTION: Has David Haye ruined Tyson Fury without even throwing a punch? Last year’s non-fight fiasco sure did a number on Fury’s mental focus, as the outspoken Brit came in at a career-high weight yesterday (22 pounds more than his April 2013 bout against Steve Cunningham). It was so bad that Fury declined to remove any clothes, making it probable that we’ll see a doughy Fury Saturday night.Will that be enough for Joey Abell to pull a monumental upset?